PULLMAN, Wash. – Teaching so students learn to apply acquired knowledge and skills to new situations will be discussed by visiting professor Rebecca Nowacek in a free, public presentation 3-4:30 p.m. Monday, April 10, in CUE 518 at Washington State University. Light refreshments will be served. PULLMAN, Wash. – The Washington State University Teaching Academy will host guest-expert lectures on Oct. 27 and workshops Oct. 28 to give faculty hands-on experience with an educational approach that has been proven to help students learn better. PULLMAN, Wash. – Award-winning teaching scholar John Cohen will present two free seminars about engaging students on Thursday, April 28, in Animal Disease Biotechnology Facility 1002. MOSCOW, Idaho – Faculty, staff and students are invited to a free symposium about improving student engagement and success via active learning at 8:30 a.m.-3:30 p.m. Monday, April 25. Three Washington State University professors will make presentations at the gathering, which will be at the University of Idaho Commons. Breakfast and lunch are included. 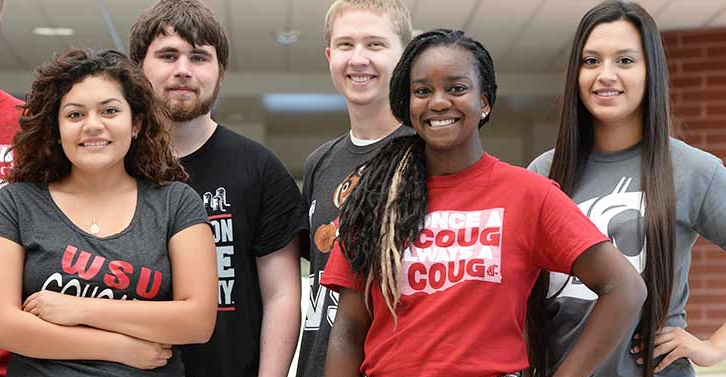 PULLMAN, Wash. – WSU Learning Innovations is compiling its many how-to resources in a single Blackboard Learn course space. PULLMAN, Wash. – Two of every five students at Washington State University are the first in their families to attend college. Half of those first-generation students are ethnic minorities. PULLMAN, Wash. – In fall 2013, math instructor Paul Krouss watched Kristin Lesseig at work during a peer observation program. Lesseig, an assistant professor of math education, was teaching Mathematics for College and Secondary Teachers using a flipped classroom model.